Historic Williamsburg, Virginia is a terrific destination for family fun, made all the more enjoyable when you stay at the Wyndham Kingsgate. 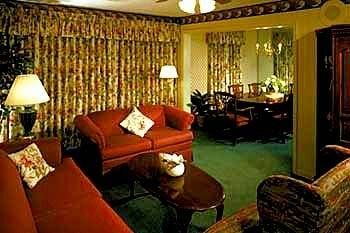 With its spacious and well-equipped one- and two-bedroom condos, each updated with touches like granite counters and high-definition televisions, the Wyndham Kingsgate timeshare resort provides your family with an utterly relaxing and comfortable welcome home, every night of your trip. When you're booked at the Wyndham Kingsgate, each day of your trip can be as action-packed as you'd like it to be. Williamsburg, Jamestown, Yorktown and even Virginia Beach and the amusement parks Busch Gardens and Kings Dominion are all within daytripping reach. Two fine golf courses are within just a few miles of your unit's front door, and nearby Waller Mill Park has a lake with paddleboating as well as paths where you can bike, hike or run. Perhaps the most family-friendly aspect of all at the Wyndham Kingsgate is that you don't need to leave the grounds to have a great time. Teens especially love this in a resort, and yours aren't likely to be an exception once they find the cinema, with daily movies and seats nearly 50, not to mention the arcade, where all the games are set to free play. That's right. Without any quarters at all, your kids can thrill to classic video games as well as Xbox and Wii, along with pinball and air hockey, while the adults play a tournament in the separate, adult-only billiards room. 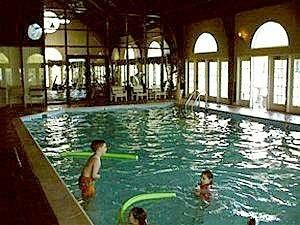 Best of all, all these facilities are open from early in the morning until quite late at night, which means the family fun is available on your family's schedule. Happy owners often mention the resort’s terrific customer service and attention to detail when asked to explain their decision to buy Wyndham Kingsgate. Owners have options on the resort grounds, too. 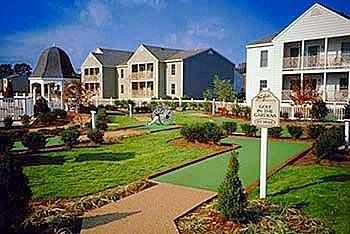 A mini-golf course and tennis courts let you work off some steam while enjoying the sunshine, and both outdoor and indoor pools accommodate anyone fancying a dip. For those even more devoted to wellness, there's a furnished fitness center as well as an on-site sauna. 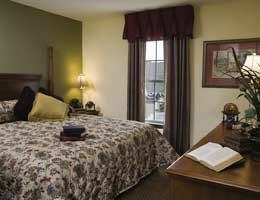 Need to get a little work done during your stay? The free in-unit Wi-Fi is ready to go. Should you prefer to work to some tunes or simply want a good sound setup to enjoy with your family once work is done, your Wyndham Kingsgate timeshare condo is also equipped with a whole-unit speaker system, already hooked into the sound system. Wondering whether you should buy Wyndham Kingsgate? 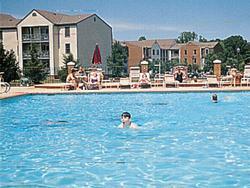 Buying a timeshare at Wyndham Kingsgate is a great way to pre-pay for your family’s vacations at today’s prices. By owning a timeshare, you are making a decision to take an annual vacation and create lasting memories for the entire family – all while saving money on your future vacations. Renting a timeshare from an existing owner is also a good way to try out a condo stay for yourself before committing. One visit and we think you're likely to agree that the resort's excellent location and amenities are well designed to keep families eagerly anticipating a visit year after year. Fact is, by booking a timeshare through BuyaTimeshare.com, you’re saving money compared to booking through the resort, since the resort will add on fees, sales and marketing costs not found here because you’re dealing directly with the timeshare owner. So don't keep your family waiting any longer for their first visit! Contact Wyndham Kingsgate Specialist Today! 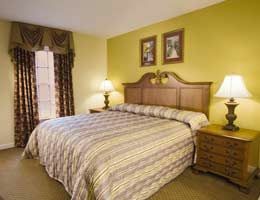 Great location, convenient to historic Williamsburg sites as well as colonial Jamestown and Busch Gardens Amusement Park. 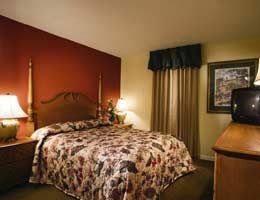 Very comfortable accommodations with all the amenities and conveniences anyone could want in a friendly, down-home atmosphere dripping with southern hospitality. My wife and I stayed at Wyndham Kingsgate the first week in June and were reminded why we love these accommodations. 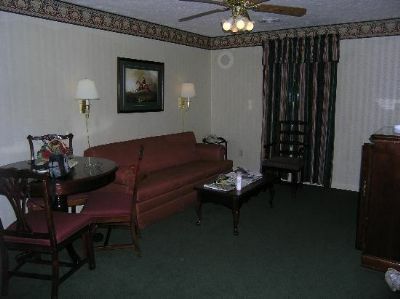 The rooms are very clean with very nice, comfortable furniture. We slept in a king size bed which was very comfortable. The indoor and outdoor pools were open. They are both large enough to accommodate a large number of people. The hot tub is large and very well kept. There is a children's pool as well. Outside by the pool and hot tub area there is a little tiki bar. Table tennis, regular tennis, miniature golf, and other games are great family fun. There is a nice indoor workout room with lots of equipment. And several times a day as well as each evening there are free movies that are shown in the movie theatre which is attached to the activities building. There were many families there of all ages having a great time. There are also other activities daily for children, adults and families. The staff is very friendly and the security does a great job of keeping the entire site safe. We are the owners of this property that we are selling. The beauty of Wyndham is that you can use your points at your "home" resort or any other resort that is in the Wyndham system. 203,000 points comes along with this unit, which will make it possible to take several vacations per year.